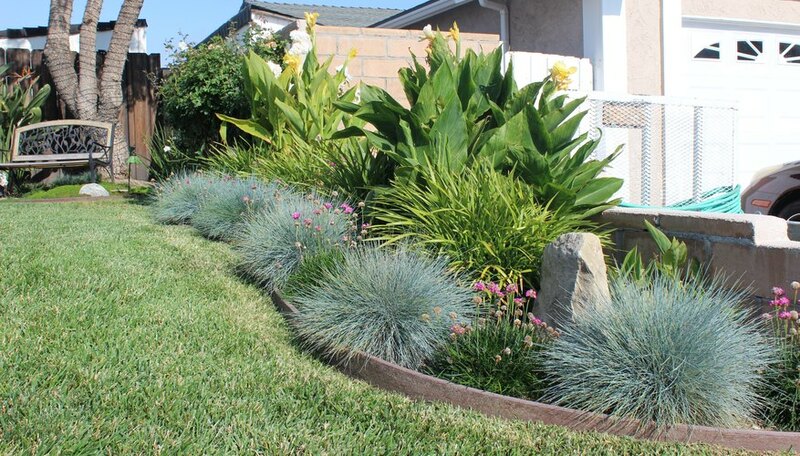 Designing a drought-tolerant garden -- or xeriscaping -- helps ensure you're doing your part to save water in your community, especially in urban areas faced with limited water supply. From hardiness zones to plant types to design elements, there are many factors to consider when designing a "water-wise" garden. However, with the proper planning, you can create a lush outdoor space that is also easy on the environment. 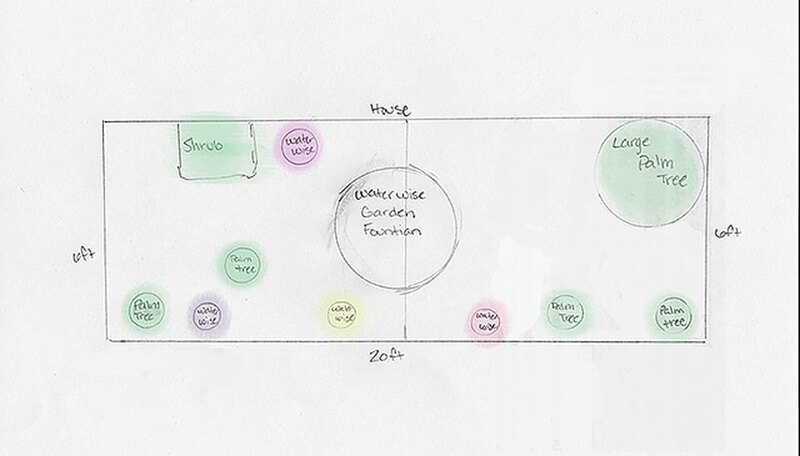 Start by planning the layout of your garden. Sketch out a vision of how you want it to look before you begin. Think about how the space will be used, such as entertaining guests, children playing or simply relaxing, and determine how much open space you'd like to have. Keep in mind what plant size, colors and textures would work well in the space and consider the architectural style of your house. For example, if you have a country ranch-style home, consider planting ferns and colorful native plants such as cinnamon fern (Osmunda cinnamomea) and purple coneflower (Echinacea purpurea) versus succulents and cactus plants for a modern or desert-style home. Before digging, it helps to arrange the plants while they're still in pots so you can move things around as necessary. Plan similar sized plants together and be sure to consider plant sizes at full maturity. You do not want to plant large plants next to small ones since the larger ones can take over. Taller plants and climber vines are best planned in the rear of the garden while shorter ornamental plants and shrubs should be planted in front. This creates a nice layered effect of varying heights. If you have a small space to work with, plant fewer small plants so your garden doesn't become overgrown or messy. Use borders to keep any one of your plants from taking over the garden. This will also make your garden look more planned and organized. When it comes to planting, sometimes less is more. When designing your garden, remember what kind of resources you have to work with -- amount of sunlight and shade, soil type, water supply from a sprinkler/hose/drip system. 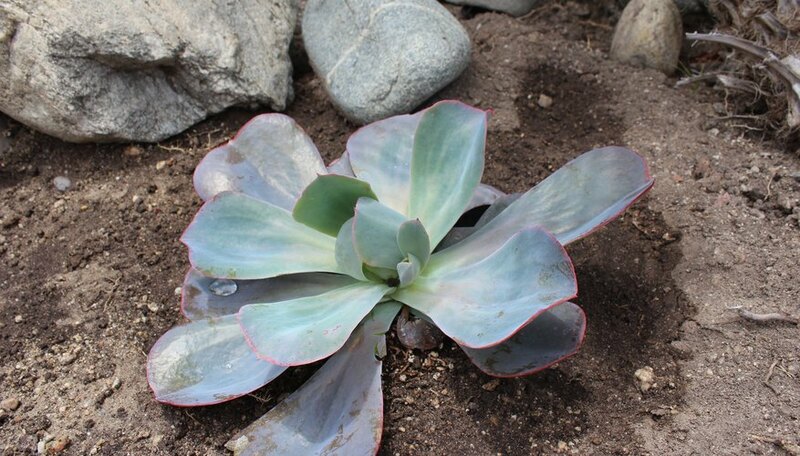 Keep in mind that many drought-tolerant plants require full sun. Study where the sun and shade hit in your garden area and group plants with similar sun exposure requirements together. Do not crowd plants so they have to fight for resources. Allow ample room for your plants to grow and expand. 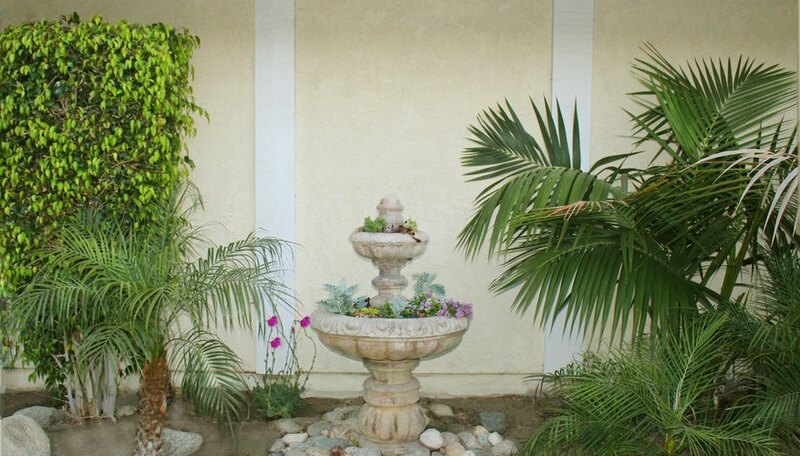 Be sure to design your garden by grouping plants with specific water needs together, creating hydrozones. 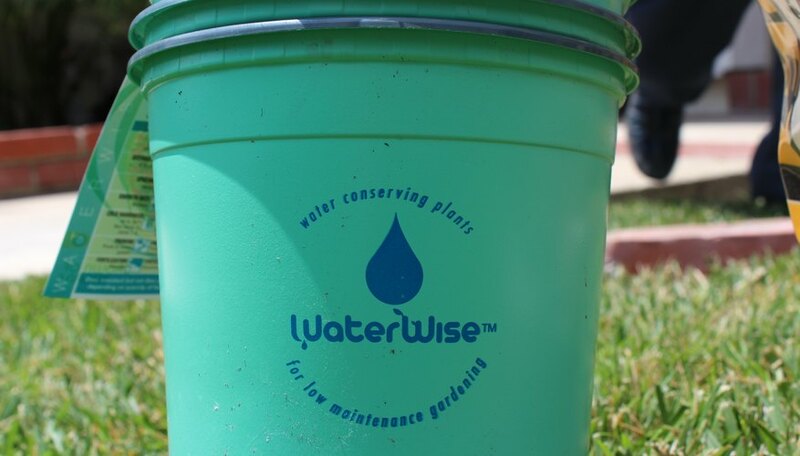 Doing this will conserve water and protect plants from over or under-watering. Also, consider plants with similar root systems; deep-root plants that can withstand a deep, infrequent watering schedule are ideal. 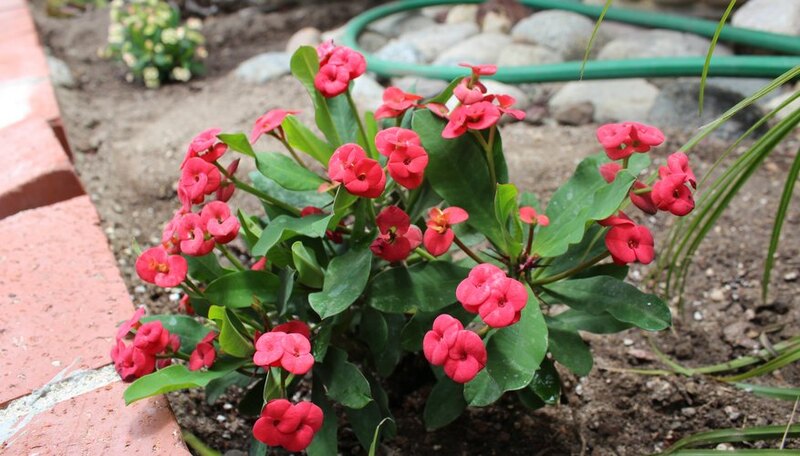 Watering deep-root plants with an inch of water once per week -- preferably in the early morning -- can produce stronger and healthier plants, and significantly cut down on water usage. Soil is a key factor when growing healthy plants, and it's very important to have proper soil conditions to handle drought. Some people may find their soil is very sandy, which is not ideal for drought conditions, since the soil drains quickly and plants will not get enough water or nutrients to survive. Mixing an organic substance such as compost into the soil works very effectively to keep in moisture and not let the water drain too quickly. First, make sure you know your hardiness zone. This is the zone in which you can determine if a plant can withstand the minimum temperature of your area. Zones also take into account the elevation and vicinity to the coast. The United States has 12 zones. Choose plants that are known to thrive naturally in your zone. Native plants are those indigenous to your area and occur naturally in a specific region, which means they survive with little to no human intervention. Plants native to a specific area have adapted and evolved into the ecosystem. These plants can be flowers, moss, trees and shrubs. Once native plants are established, they require little water beyond the normal rainfall. Since these plants adapt to climactic conditions, they won't need much fertilizer and are more resistant to pests and diseases. Native plants also help to reduce water runoff because they have extensive deep root systems that absorb rainfall much better than lawns. A good resource to consult is the USDA's Cooperative Extension, which usually has a master gardener you can talk to about plants native to your area. You can also create ground cover by laying down landscape fabric and covering it with a rock garden or covering some or all of your garden or yard with mulch. 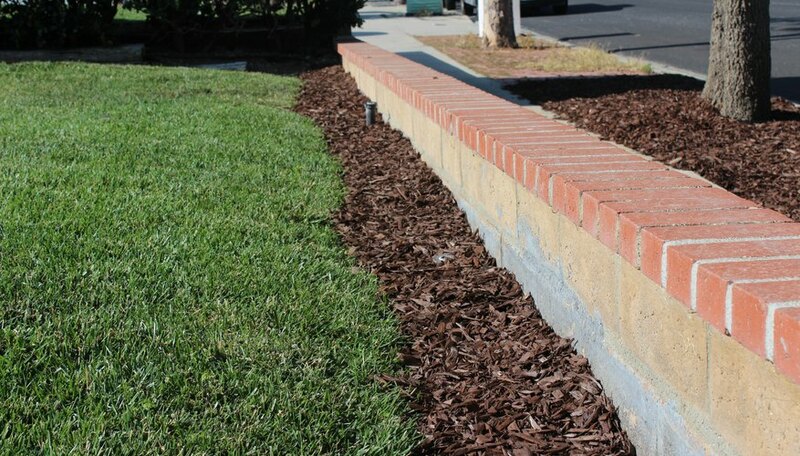 By placing mulch down in an area with a few plants, the soil will hold in more moisture, making it require less watering. Mulch also doubles as a weed deterrent. When using mulch to cover an area, cap any sprinklers that you will not be using anymore. Another decision you'll need to make is whether you want perennials or annuals in your garden. Annuals live for only one season but provide flexibility, because you can change your garden year to year, and color all season. Perennials, if properly taken care of, live for multiple seasons. 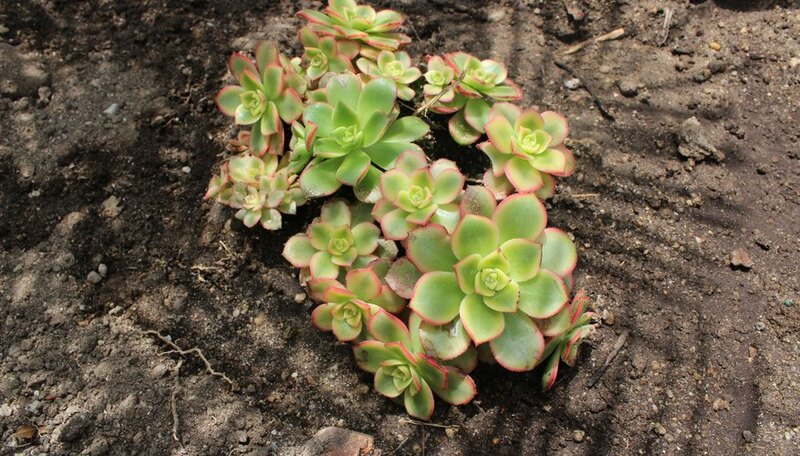 In the end, they are the better choice for a drought-tolerant garden because they will take up less water since the roots are already established. What Are the Planting Zones for the U.S.?